Last week, unpaid carers and their supporters celebrated Carers Rights Day. 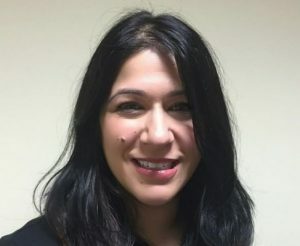 Good friend of this blog and tireless campaigner for improved support for unpaid carers, Fatima Khan-Shah, returns with a new post explaining why this day matters. There are 6.5 million carers in the UK today – that's approximately 1 in 8 adults. It’s a significant number and one that will only get bigger. Carers Rights Day is an opportunity to bring organisations together across the UK to help this dedicated community of family, friends and loved ones understand their rights and find out how they can get the help and support they need and deserve. I recall the first time I heard about this important day. I attended an independent sector organisation event in Huddersfield where they were handing out information about making sure the person I cared for received the right benefits. While I was there, I also found out about carers assessments (CAs). These were important things to consider of course but, because I had so many other things going on in my life as a mum and a carer, a CA was at the bottom of my ‘to do list’. I clearly needed a break. I hear this so much from other carers; that they never prioritise themselves, that their physical or mental wellbeing is never top of their lists. This really worries me, because if a carer becomes unwell and gets to the point of being unable to care for loved ones, there is often no back up to step in; the consequence being they feel worn out, unsupported and alone. This is how carers themselves end up in the health and social care system - something they never plan for or welcome. It also runs counter to the increasing focus on prevention in health care – a strategy that seeks to intervene and mitigate health problems before they become more serious, costly and difficult to treat further down the line. Sadly, around 61% of carers* say that they have suffered physical ill health as a result of their caring roles. This increases to 72% who have experienced mental ill health – and all because they care for their family, friend or a neighbour to the exclusion of their own, equally important needs. It is therefore vital that the health and social care system works in a joined up and person-centred way to identify the warning signs as early as possible. In this way, carers can be signposted to local services for timely advice and support before they reach crisis point. Here in West Yorkshire and Harrogate, we are proud to have just this kind of process in place. Across Bradford District and Craven, Calderdale, Harrogate, Kirklees, Leeds and Wakefield we’re making sure carers are identified and signposted to support and advice delivered by our amazing colleagues across all sectors. There is some great working taking place and this is where the partnership (also known as an integrated care system) really comes into play. We can share the good work taking place throughout the area in partnership with local communities. There is so much still to do, which is why Carers Rights Day is so important. We need to work together to heighten the profile of carers across the health and social care system and identify many more ‘hidden’ carers, young and old, who works tirelessly 24/ 7 whilst keeping their head down and just getting on with it. Carers save the economy the equivalent of £132 billion and at last, thanks to initiatives like Carers Right Day, we are starting to recognise them as an important resource and as equal partners in care. That's why we need to come together on every Carers Rights Day to celebrate and thank them for their contribution to the system, acknowledge the challenges they face, and share vital information to help them live well - and care well - each and every day. Whilst all the content of this blog is to be commended,can it be right to use children as young as 5years old as Carers. Is it right to use children who if they were paid would be working illegally if they were 12 years old or younger? Can children who are encouraged to care make valid judgements as to how their education(and hence life chances),health and well-being will be adversely affected ? We should be working to phase out this practice which restricts a child's liberty,and is known to damage the mental health of many. Support is very limited or non existent and where it is in place the key objective is to ensure they can go on caring. This is frankly a national disgrace condoned by NHS ,Social services and shamefully by charities set up to help. Sadly, at a time of austerity, the acknowledgment of carers' rights falls well down the list of government priorities. In our welfare state, 'informal' caring should never be a substitute for services expected (and legally required) to be provided/funded by the statutory sector. Too often these no longer exist and the burden of caring falls on the shoulders of those often least able to perform that role. Too often their calls for support go unheard. If Carers save the economy £132 billion pounds a year, is it not right to be able to offer the Carers some sort of payment whether they are employed or not. A qualified carer has to be paid a wage of at least £7.83 if they are over 25 years of age, not just a nominal £64.60p a week if it is a family or friend (even if they qualify). There are 168 hours in a week and some Carers are literally on call 24/7 this amounts to 2.6p per hour. So if you care for someone for the minim 35 hours per week then you will be on a staggering £1.84 per week. Something here is very wrong when there is £132 billion a year going to others, who may I say may not deserve it!! Is this not exploiting the family and friends good nature? Agree with the above responses. Am 'lucky' enough to work in paid day care for adults with learning/physical/elderly/dementia disabilities, but the low status = low pay, lack of resources inc enough staff esp. to be able to deliver gov's Care Act; Health & Safety risks to both clients and staff in a very physically and emotionally challenging environment, means that caring is not valued, paid or supported as it needs to be.